October 17th, 2018 - Does My Bomb Look Big In This? 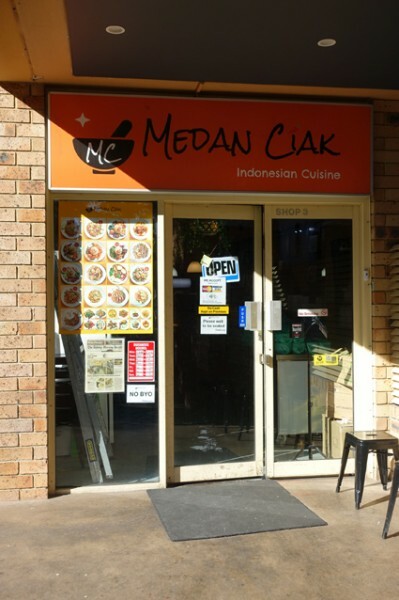 Bucking the trend towards fancy designer fit-outs and prices to match in Surry Hills, you’ll find the surprisingly honest and well-priced Medan Ciak in the entranceway to a dated, blonde brick apartment block. 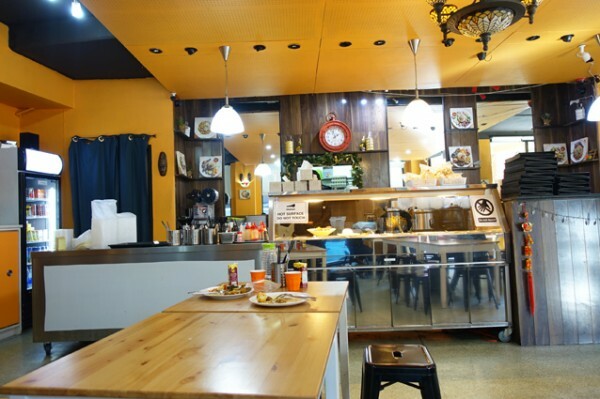 It’s set back from the road, but easy enough to spot because of their trademark bright orange signage, which continues into the cafeteria-style dining room. The cuisine is Indonesian, but being from Medan, the capital of North Sumatra on the northeastern coast of the island of Sumatra, there’s a sizeable Chinese population. It’s also very ethnically diverse – while Muslim people make up the bulk of the population, Christianity doesn’t lag too far behind. 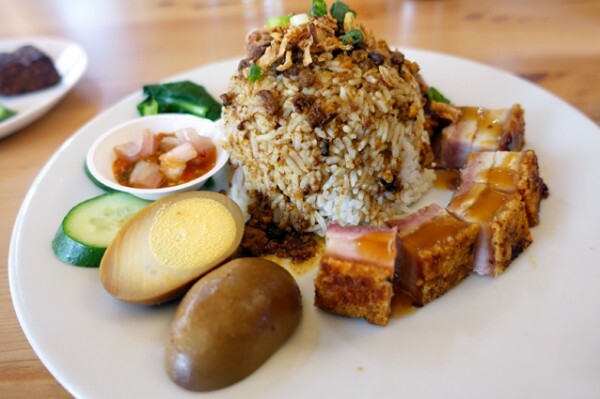 On the plate that means you can eat pig – and you should – as Sui Bak Pui/Nasi Babi Panggang ($14), the most expensive dish on the illustrated picture menu. 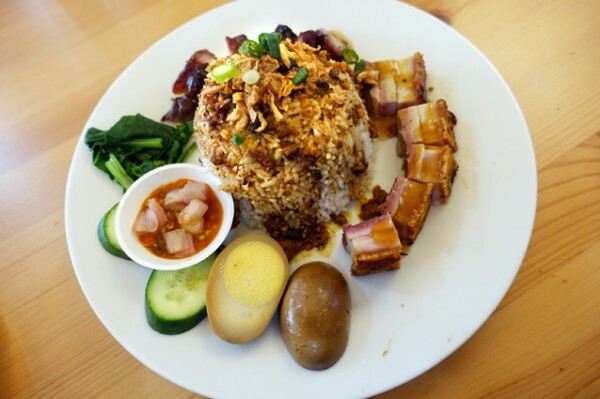 Arranged around a generous mound of rice you’ll find sweet pieces of caramelised pork and beautifully rendered cubes of compressed roast pork belly drizzled with sweet sauce. There is also water spinach, a soy sauce-soaked boiled egg, and a little dish of sambal with raw chilli, garlic and red onion. The sambal is quite spicy, though I find forays into the little bowl of clear chicken soup that arrives with it enough to sooth my lips. While everything at Medan Ciak is a whole, balanced meal, there are some cool add-ons like blackened pieces of Tempeh Goreng ($2.50). 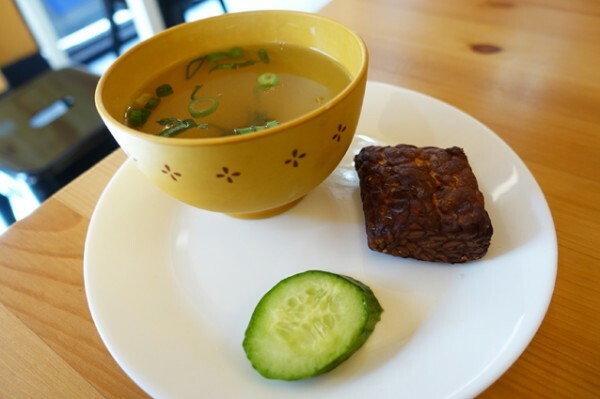 The compressed soybean cake is firm and tasty, and eats particularly well with a good splatter of sambal. 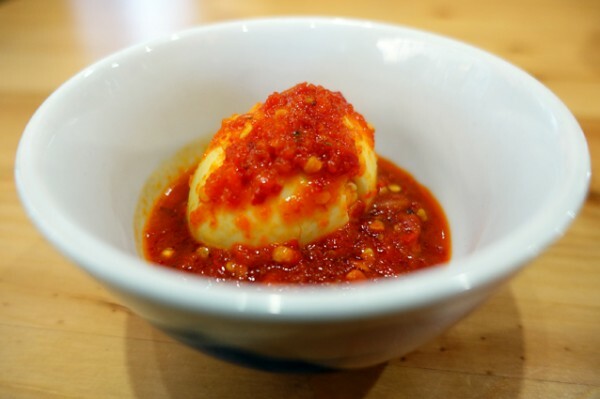 If you haven't had enough protein, or crave more of the hot stuff than a little dish of sambal can provide, the Telor Balado ($2) or chilli egg is another good add-on. 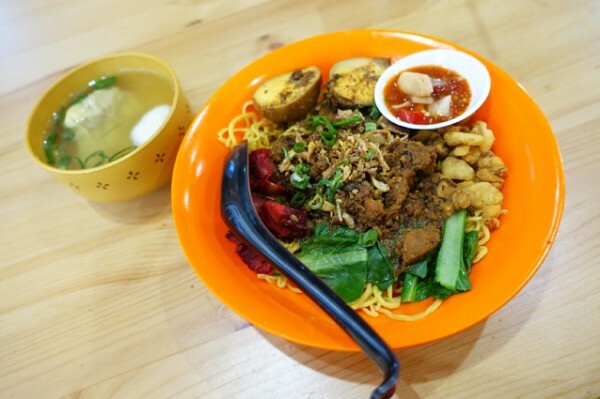 Mie Pangsit Medan ($12) is another Hokkien Chinese influenced dish, where seasoned yellow wheat noodles are turned into meat noodles using caramelised pork and fried pork fat (crackling). It’s rounded out with soy sauce eggs, fried shallots, water spinach and sambal, with a bowl of wonton chicken soup passed separately. 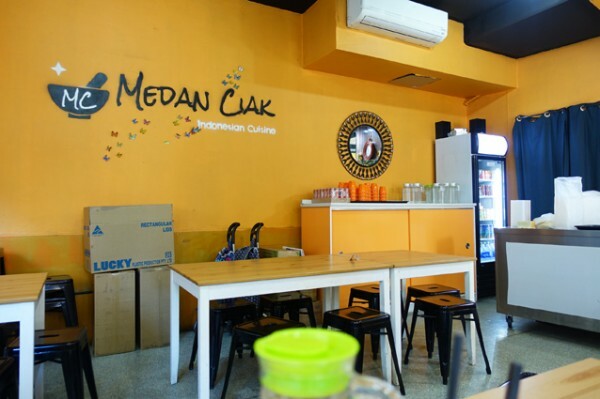 On weekends Medan Ciak assemble a full range of takeaway Indonesian desserts and pastries in plastic containers on the counter, which increases their popularity. 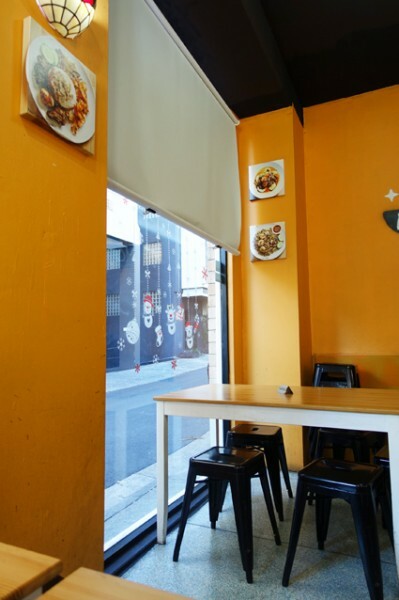 On the quieter weekdays (they're closed on Mondays) for a sweet fix, you can make do with poppers of jasmine tea. 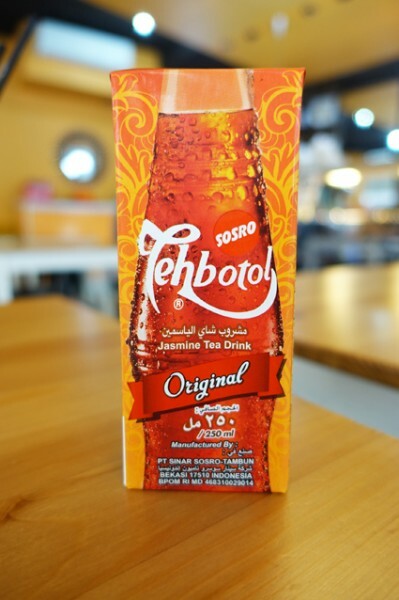 The oldest brand is Tehbotol Sosro ($1.50) who first began brewing jasmine tea in 1940. Their tea blends green tea, jasmine flowers and jasmine gambier (an astringent extract from the leaves) that gives it a floral, sweet, tannic flavour. 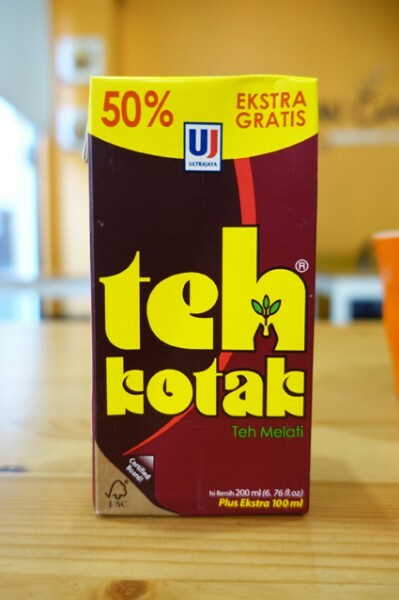 Teh Kotak ($1.50) is pretty much the same deal, just enriched with vitamin C.